Your business should remain just that, yours. No matter what sort of operation you run, from clothing retail stores to biometric facilities, there are products, data and personnel that you need to keep safe. With a commercial access control system installed at your business you are providing yourself and your employees peace of mind by using the most advanced, high-tech and real time system to keep track of everyone who enters and exits the building. An access control system is much more than just a locking door. You get to decide who has access, at what times the doors can be opened and the method for which access can be granted, including keys, prints and more. Today's world is very IT centric, which is a great benefit to business owners looking to secure their property, as these systems make it incredibly difficult to gain access to places you don't want people wandering in and out of. Depending on the depth of your system, an access control system can let you know in real time who has entered the building, where they have been, how long they were there and so forth. You will no longer have to worry about losing keys, as entry techniques are now used with pin numbers or other methods that allow for keyless access. Using ID cards and PIN numbers every employee can be given different security clearance based on their job and where they need to be. Cards can be timed so that visitors can be given access for only one day and employees who quit or are fired can remotely have the access card wiped so they can no longer gain access once leaving the building for the final time. If you would like to receive an estimate for commercial access control system installation in Reno or the surrounding communities reach out to the professionals at Reno Sparks Lock & Safe. 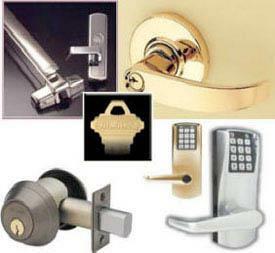 We offer a number of amazing locksmith services and products to help you secure your home or business. Give us a call at (775) 525-5712 to get more information or to request the assistance of an expert locksmith in Reno.